Remember when it was cold out? Last week we hit “The Castle” to focus on ratio and rhythm. Today’s Rowing WOD is another opportunity for everyone to keep working on a sense of form and rhythm without the pressure of intensity and competition. Sometimes it’s good to slow down and dial in that technique. Pressure should be a moderate to hard steady state. That means you can get out short sentences but it’s difficult to maintain a detailed conversation. In today’s Rowing WOD the focus is developing rhythm and endurance. Another word for rhythm in rowing is Ratio. 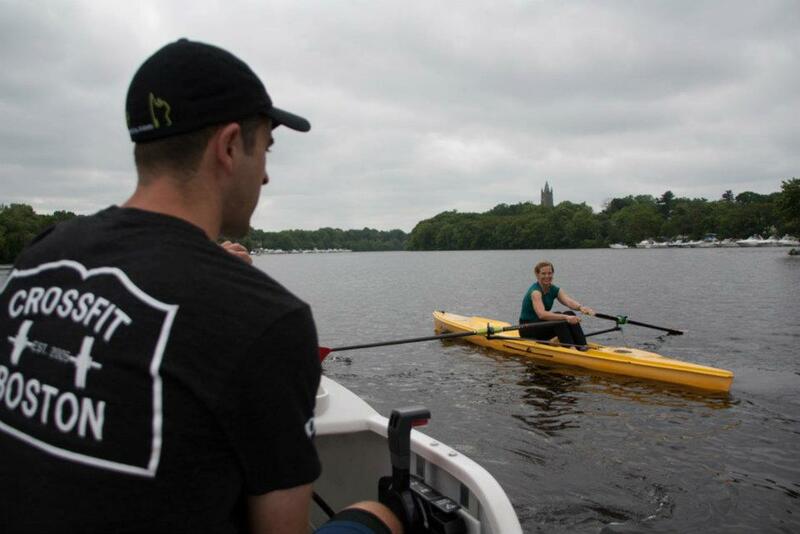 By varying the ratio of the drive to the recovery rowers can maintain the same pace or split, but work more efficiently and make the stroke feel lighter or heavier. Slingshot Hands Away will be key when we get on the water! When going from a 26 stroke rating to a 28 you should focus on more pressure with the legs and quickly redirecting the hands through the finish. Think of a slingshot as you pull the hands in and release them quick and smooth away. This will help increase the stroke rating while leaving you the same amount of time to sit up, breathe, and relax as you slide forward on the recovery. When the rating shifts down from a 28 to a 26 be sure to perform a ratio shift and try to maintain the same split. Focus on pushing a little harder and take an extra second to breath on the recovery to bring the stroke rating down. Post distance rowed to comments along with songs that helped you stick to each rating! Music can motivate us to push harder and row longer, but it can also give us a sense of timing. We might have to start calling it Music Monday’s if this catches on, but for now just have some fun trying to row to the rhythm of the music. Please add to the playlists any songs that help you stick to a certain rating and keep pushing hard! Below is the start of a list of songs for various stroke ratings. If you were to use a music editing program like garage band to clip the songs into segments then you could perform today’s Rowing WOD completely in time to your favorite jams. If you have Spotify, I’ve created a playlist for each stroke rating. Each playlist is named “Renegade Rowing @(insert stroke rate)”, so for songs that you could row to at a 20 the playlist is named “Renegade Rowing @20″. If you have favorite songs that go well at certain stroke ratings please feel free to add to the playlists on Spotify. Thanks Mike T. for kick starting this project and I hope this helps motivate everyone to find better rhythm and ratio! 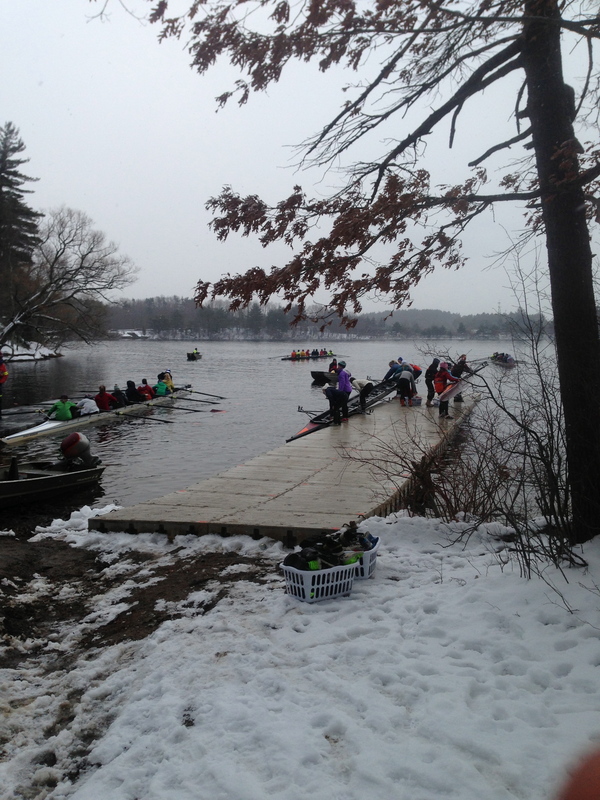 This entry was posted in Rowing and tagged endurance sports, exercise, functional movements, mental toughness, recruitment patterns, rowing, sports, training, water by Renegade Rowing. Bookmark the permalink.